Two weeks ago, MIT graduate student Elisha Goodman and I wrote an introductory post to the Lynn Coalition for Green Development’s aquaponics project in Lynn, Massachusetts. We continue the series with a closer look at the city of Lynn: its history and its present. Lynn has a lot of things going for it. The city borders the coastline with beautiful views of the Atlantic Ocean, is just twelve miles north of Boston, and has a commuter rail stop for those who want to live by the sea and commute to work in the city. Lynn’s prime location helped make it a regional manufacturing powerhouse from the 1700s to the early 1900s. The city was already a hub of leather manufacturing in colonial times – a fact largely due to its local abundance of cattle, deer, and moose. After the introduction of mechanization in the 1800s, Lynn grew even more rapidly to become the so-called “shoe capital of the world”. 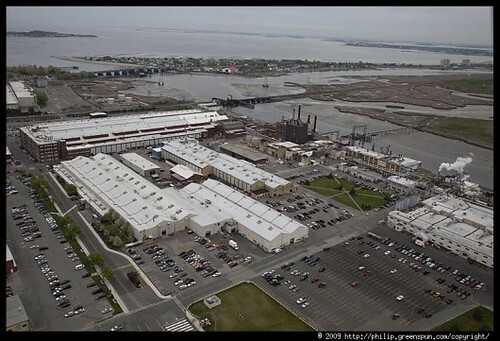 Later in the century, the city became one of the original factory sites for the newly-created General Electric Company. But like many formerly industrialized cities, Lynn lost most of its manufacturing jobs in the last few decades. So despite its physical assets and celebrated history, Lynn now struggles economically. Unemployment and poverty have increased as a result. For example, between 2000 and 2008, the percent of Lynn residents living below the federal poverty line increased from 16.5% to 18.9%. Like many post-industrial cities, Lynn faces the challenge of finding new sources of jobs and redefining its economic identity. 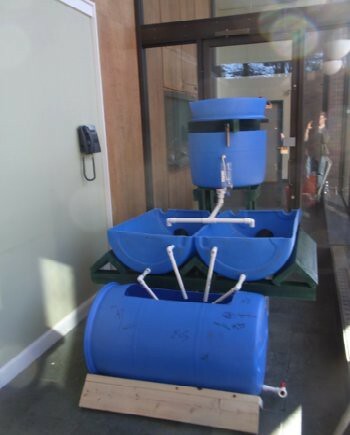 The LCGD’s aquaponics demonstration system is located in Lynn’s SPIN Center. Lynn has also experienced a demographic shift over the years; it has become more ethnically diverse. According to the 2000 Census, 23% of Lynn’s 89,000 residents were foreign-born. Given Massachusetts’ high immigration rates over the past decade , this figure is likely larger now than it was in 2000. Lynn has especially large numbers of first generation immigrants from the Dominican Republic and Guatemala. It is also home to a diverse patchwork of Asian and African immigrant communities. Despite the ethnic diversity of Lynn’s population, the elected town leadership has only one non-white member in its ranks. As Tony Dunn of the Lynn Coalition for Green Development (LCGD) says, “The people running the town don’t look like the people living in the town.” Consequently, many of the issues that are faced by Lynn’s ethnically diverse population are overlooked in City Hall. The LCGD, a coalition of community-based organizations and local leaders, hopes to address some of those issues. The LCGD’s mission is to help solve Lynn’s economic troubles through the creation of green jobs that pay fair, family-sustaining wages to all those in the Lynn community. Its current aquaponics demonstration project is a potential source of green jobs because the LCGD wants to eventually expand the project into a worker-owned cooperative. In the next post, we will elaborate on the creation of the LCGD. In the meantime, everyone is encouraged to visit Lynn’s aquaponics Facebook page. “Shoemaking at Lynn.” New York Times, August 21, 1892. Online PDF can be found here. Crosby, Jeff. Organized Labor and the New Immigrants in Lynn, Massachusetts. MA thesis. University of Massachusetts, 2007. Post by Chun Ying, who still loves cooking and Arrested Development.